Liven up your party with Toasted Sesame Water Crackers, elegant and easy to prepare. Crown them with a cherry-cut tomato and cottage cheese or pair them with your favorite spread. Any way you slice – Enjoy! Spice up any occasion with these tasty Cracked Pepper Water Crackers. Top these delectable crackers with your favorite cheese, fruit or spread! 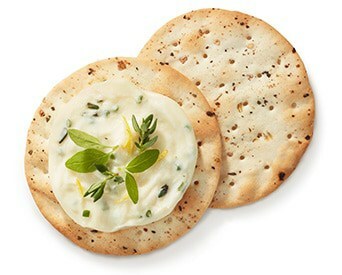 Awaken your taste buds with these delectable Garlic & Herb Water Crackers. Spread on your favorite cheese and top with herbs and lemon zest to get the party going! Create a perfect beginning to your dinner parties with these enticing Whole Grain Multigrain Crackers. Top these delicious whole grain crackers with blue cheese and honey for a quick snack. Through its crowd pleasing variety of crackers, the ABC Assortment is a perfect fit for entertaining. 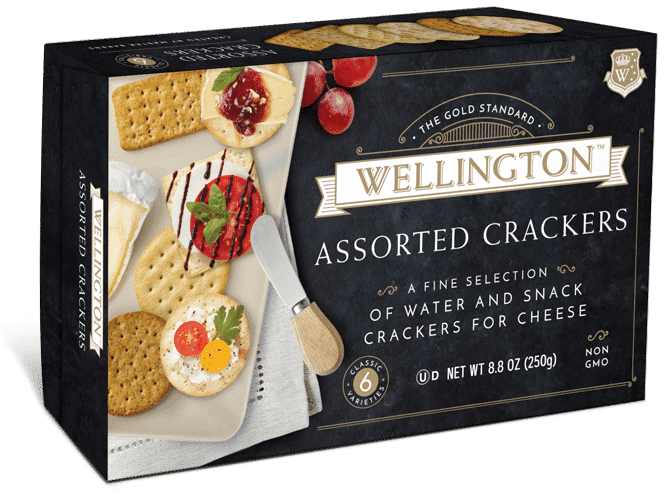 This great assortment includes the Traditional Water Cracker, Multigrain, Stoned Wheat, Round Wheat, Croissant and Cracked Pepper Water Cracker. Treat your friends and family to these tantalizing Stoned Wheat crackers, which are suitable for any occasion! Treat your friends and family to the delicious Organic Traditional Water Crackers, which are suitable for any occasion. It’s your favorite Wellington Water Cracker, now available organic! Add your favorite topping and snack the way you want! 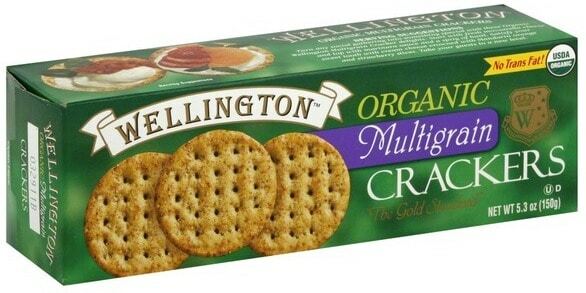 Turn any social gathering into something special with these scrumptious Wellington Organic Multigrain crackers. Start with fresh mozzarella cheese and top with marinara sauce. Complement it with cream cheese or strawberry slices. Bon appétit!